Provide badly need facilities for existing community groups. Provide additional services to the older community, through HSE. With the village being by passed in the 1990s, this planned centre would offer facilities to attract people from the adjoining communities back into the village on daily visits. 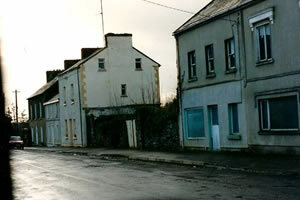 The procurement of the derelict site was made possible through lobbying by the then local Councilor Michael Guckian, and numerous meetings and discussion with the then Health Board. The design of the New building was very important and completed in consultation MaryOCarroll Architects, full input by the community, Leitrim county council and the North Western Health Board. Consultation with the community also included discussions with adjoining villages and members from the hinterlands. The design chosen was also in keeping with the existing streetscape and this is one of the reasons for the unusual shape of the side of the building. As requested by all, the building is much more than a meeting and function holding centre. Commercial Elements, bringing services to the village. 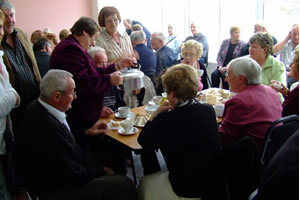 The HSE uses the center to provide a drop in day centre for older persons and a meals on wheels service. The building has been designed to ensure accessibility to all members of the community, the design includes and top of the range Lift. The centre has been funded as a capital project, so far, by the HSE, Peace II and IFI, Dormant accounts funding was also secured to install a stainless steal kitchen. The Meals on Wheels service is committed to fostering independence and quality of life by providing affordable and nutritionally balanced meals 5 days per week. Drumsna Meals on Wheels service provides 3,500 hot and nutritious meals per year, to people in our community who are unable to prepare meals for themselves including: elderly, people with physical disabilities and cognitive impairments, individuals suffering from illnesses and recovering from surgeries, and those who need special dietary planning and assistance. 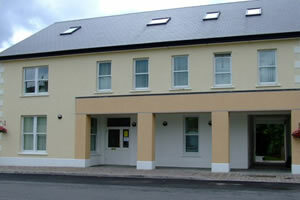 Drumsna Community Resource Centre has a state of the art kitchen and catering facilities. All meals are delivered to the doorsteps by a team of friendly and dedicated volunteers and costs €6.00 per day for Dinner and Dessert. This service is open to the public and all enquires can be made through the centre Manager on 071 96 25782. The Golden age, ICA, Foroige Youth Club, Tidy Towns Committee, GAA, Defibrillator Group are an example of the groups that use the facilities for their meetings and activities. The centre hosts Art classes with Noreen Gaffney and Sewing classes with Alena Gurn. The centre also accommodates computer classes, dancing classes, and evening cookery demonstrations. Room hire is available to all groups by telephoning the centre on 071 96 25782. 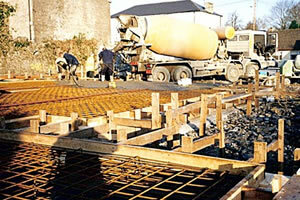 The centre also provides commercial lettings. We have a number of services available in the centre. Services are by appointment only. Bingo every Thursday night is a great networking event and offers a great social outlet for the surrounding areas. The Bingo is facilitated on a voluntary level and is a perpetual fundraiser for the centre. The Integrated Social Day Care Service is designed to maximise the opportunities for those in the community and surrounding areas that are marginalised, deprived and isolated. The mere existence of this Service supports recovery, promotes independent living and reskill service users to have a greater involvement and participation in their own community lives. The service is socially led with users enjoying a wide range of activities such as Arts & Crafts, woodwork, computer skills and gardening. The main goal of the Service is to promote Social inclusion for everyone who attends. The age profile of the service users ranges from 40 to 101 years old. Admission to this service is strictly by referral only. Referrals can be made from your local GP or Public Health Nurse.